At Personal Best Karate, we've been helping people get in shape and achieve their fitness goals since 1991. Our professional instructors provide the quality training you need in order to get stronger and lose those extra pounds you've been trying to get rid of for so long. 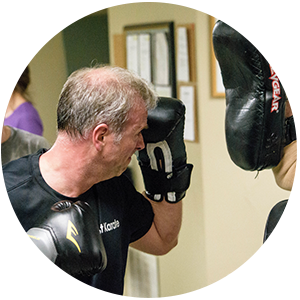 Our fitness kickboxing program is not your every day exercise routine that quickly becomes old and boring after a few weeks - we make sure it's always changing, so that we keep our students challenged and looking forward to their next class! 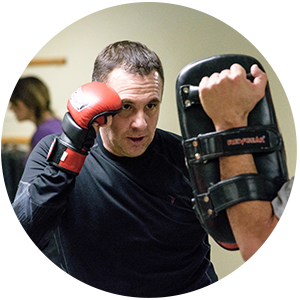 Let Us Help You Reach Your Fitness Goals, While Learning Self-Defense Skills. Improve your mind, body, and soul! Anyone can join a gym and go through the standard treadmill and weights routine, often not getting the results they expect. The complete health and fitness programs offered at Personal Best Karate provide positive and personalized results for each student. Our Fitness Kickboxing classes will have you kicking yourself into shape with a blend of of cardio and kickboxing that will leave you feeling great and looking even better! Stop trudging through your weekly workout and begin a new one instead - you'll get results you'll love, while enjoying yourself every step of the way! 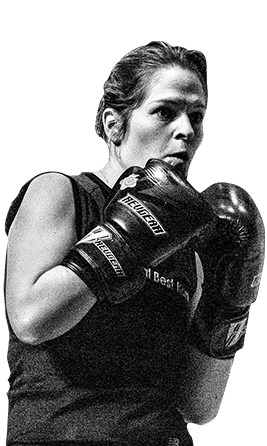 What Makes Kickboxing Fitness Different From Other Fitness Programs? Learn hooks, uppercuts, & jabs that activate your triceps and leave your arms sculpted and toned. High-intensity workouts and kicking your legs will look toned, tight, and jiggle-free. At Personal Best Karate, it is our mission to help you become a confident, focused individual as you achieve your fitness goals. 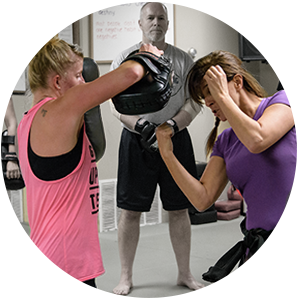 If you are bored with your regular gym routine and you are looking to burn major calories, while learning self-defense moves and get in the best shape of your life, you must come and check out our self-defense programs! Give yourself the gift that keeps on giving Begin your fitness journey!